Rachael Horwitz, author of the book review of ‘The New Russian Nationalism: Imperialism, Ethnicity and Authoritarianism 2000-2015’. Rachael is an IMESS student at the School of Slavonic and East European Studies, University College London studying Politics and Security. She is going to Moscow at the end of August as part of her programme’s second year. Rachael is interested in nationalism and the Ukrainian conflict, and is hoping to pursue a PhD in the field. She is a keen writer and loves watching films, outside of academia, Rachael enjoys horror and science fiction. To discover more of Racahel’s fiction writing, visit her blog here. Her book review publ ished in SLOVO Journal VOL 29.2 discusses the 2016 study of ‘new’ strains in Russian nationalism and their relationship with the Russian state, as well as influence on public opinion. The study looks at how nationalism has impacted various aspects of contemporary Russian life, from attitudes towards the church to views on migrants. This useful and timely volume covers the growth of Russian nationalism from 2000 to 2015. It was in the process of completion during the annexation of Crimea in March 2014 and thus most of the chapters refer largely to events prior to that date, with some analytical coverage of how Russian nationalism has shaped public opinion of the annexation and subsequent Eastern Ukrainian conflict. It is thoroughly researched and yet accessible to the general reader, though with a few minor issues. 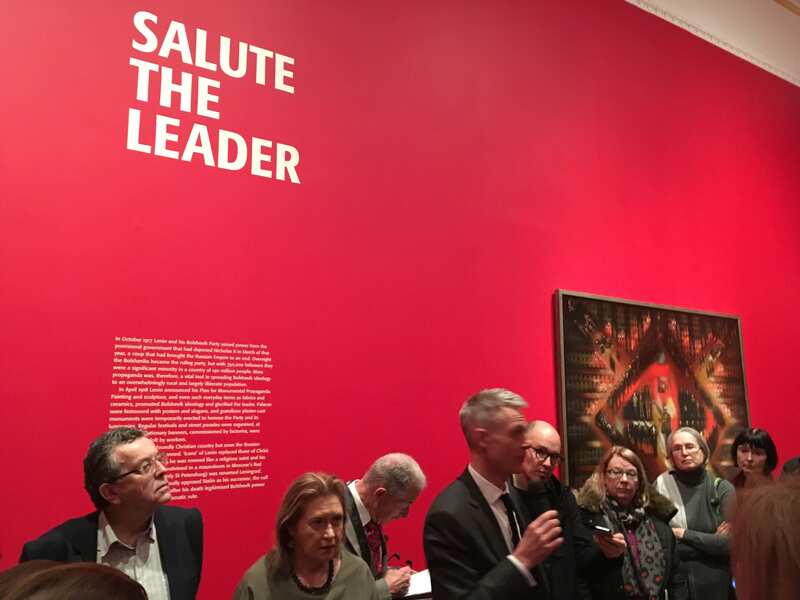 The collection aims to explore the different currents within contemporary Russian nationalism, analysing their complex relationship with the state and Russian society. It is an anthology, with different chapters, which offer contrasting and sometimes contradictory perspectives on the issue of Russian nationalism. 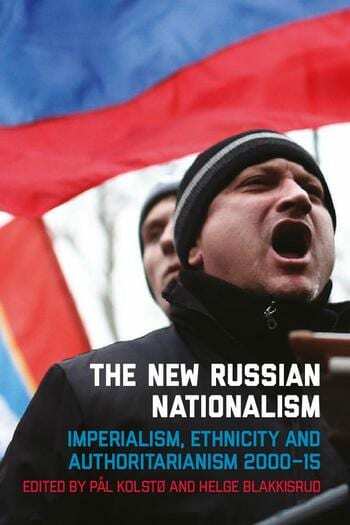 The book is divided into two main sections, with the first describing what Kolstø calls ‘society-level’ Russian nationalism, while the second is devoted to nationalism at state level and the changing discourse of Putin and the state in relationship to national identity. The final chapter is a discussion of nationalist economic policy in Russia and the debate at the state level between adopting protectionist policies or a more globalised economic model. This echoes current discussions in the West over pro-business policies such as privatisation, which have been blamed for creating a ‘left-behind’ class and fuelling sympathies for nationalist rhetoric, and underlines that Russia faces many of the same issues as Western countries in its approach to these issues. The book review for ‘The New Russian Nationalism: Imperialism, Ethnicity and Authoritarianism 2000-2015‘ by Rachael Horwitz (The School of Slavonic and East European Studies, University College London) was published in SLOVO Journal, VOL 29.2, and can be read in full here. Aron Kerpel-Fronius: Pole and Hungarian Cousins Be? Aron Kerpel-Fronius, author of ‘Pole and Hungarian Cousins Be? A Comparison of State Media Capture, Ideological Narratives and Political Truth Monopolization in Hungary and Poland’. 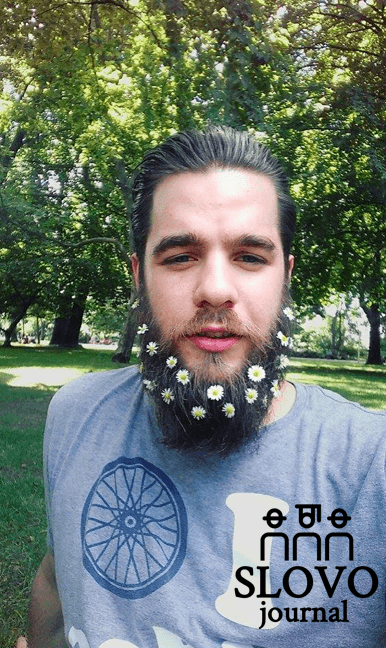 Aron is a Hungarian post-graduate student at the flagship IMESS programme at University College London, studying Economics and Politics. He is set to spend the next academic year at the Jagiellonian University in Krakow. Aron’s main research interests include illiberal parties and civil societies of EEA, particularly within the Visegrad group. Aron is also planning to pursue a PhD programme in the same field next year. Currently, he is an intern at Transparency International Hungary, and from next month, will be starting another internship in Krakow’s Kosciuszko Institute, a Polish think tank specialising in cyber security, using this opportunity do deepen his knowledge on Polish language and culture. Public discourse is shaped through various factors; in his article, Aron focuses explicitly on the two governments’ treatment of the media landscape, as it is the biggest and most effective platform for this purpose. The paper argues that both Fidesz and PiS are attempting to capture the state and private media, using these to propagate their political ideology. Thus by monopolising media discourse and portraying themselves as the representatives of the people on all three symbolic levels, the two governments attempt to discredit any civil or parliamentary opposition group, and emerge as the sole central political force domestically. The aim of the paper is to compare the extent to which the Fidesz and PiS government managed to succeed in this attempt to the present day. The article ‘Pole and Hungarian Cousins Be? 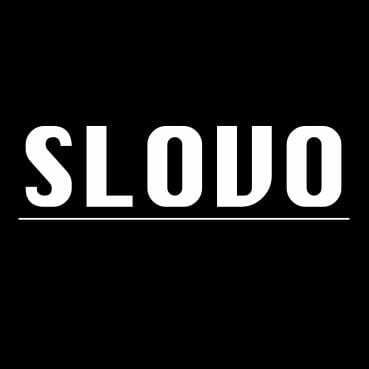 A Comparison of State Media Capture, Ideological Narratives and Political Truth Monopolization in Hungary and Poland’ by Aron Kerpel-Fronius (The School of Slavonic and East European Studies, University College London) was published in SLOVO Journal, VOL 29.1, and can be read in full here. 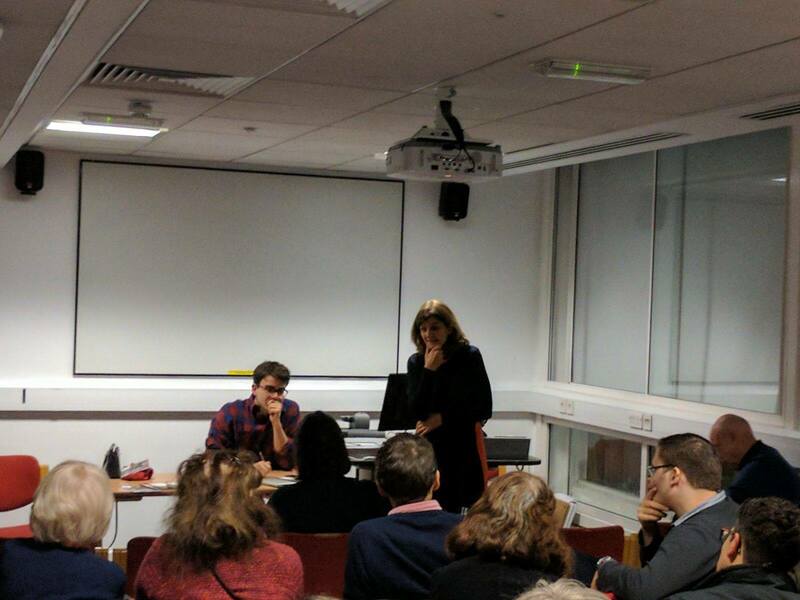 Ruxandra Petrinca, author of ‘Halfway Between Memory and History: Romanian Gulag Memoirs as a Genre’. Ruxandra is a historian working on the Communist and Post-Socialist periods. She holds a LL.B and an M.A. in Canadian Studies from the University of Bucharest. After her arrival in Montreal in 2006, she pursued a double specialisation B.A. in English and History, and an M.A. in History at Concordia University. Currently, Ruxandra is a PhD candidate, ABD, with the Department of History and Classical Studies at McGill University, working under the joint supervision of Prof. Catherine LeGrand and Prof. Lavinia Stan (St. Francis Xavier University). Ruxandra’s main research interests include manifestations of dissent and resistance in Communist states. 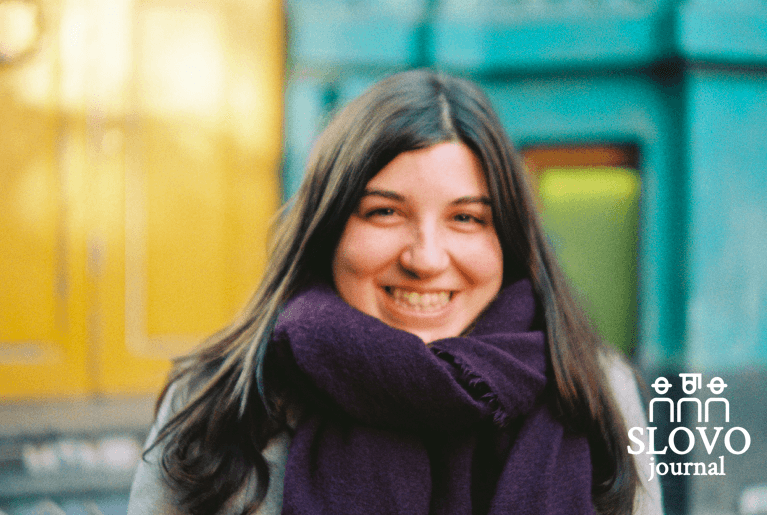 Her thesis examines the evolution and social transformation of the Romanian communities of 2 Mai and Vama Veche as alternative cultural spaces inside an authoritarian regime. Ruxandra is also interested in public memory, propaganda, the role of intellectuals in shaping the transition to democracy in former Communist states, youth sub-culture, socialist film discourse, and radio propaganda. Previous publications by Ruxandra Petrinca include, “Smoke Screens and Liminal Spaces in Socialist Romania: Legacy, Diversity, and Cultural Dissent on the Shores of the Black Sea”, “When Postmodernism Met Authoritarian Socialist Discourse”, review of Sahia Vintage I, Documentary, Ideology, Life, “Choosing to Forget: Politics, Family, and Everyday Life in Stalinist Romania”, and “Recuperating the Communist Past, Romanian Literature and Authoritative Discourse”. For more by Ruxandra, you can view her Academia.edu profile here. 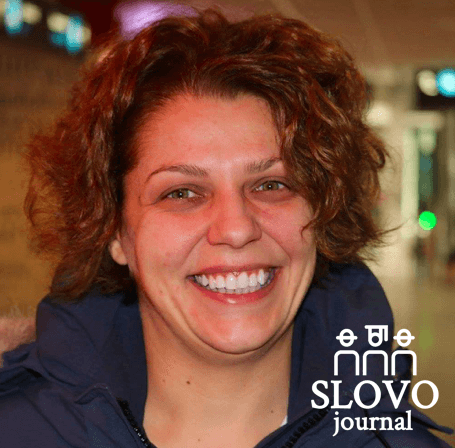 Ruxandra’s article in SLOVO Journal analyses a sample of seven Gulag memoirs that recount experiences of imprisonment at the height of the Stalinist repression in Romania, between 1947 and 1964. The paper looks at the literary conventions employed by the authors in the recounting of their stories. 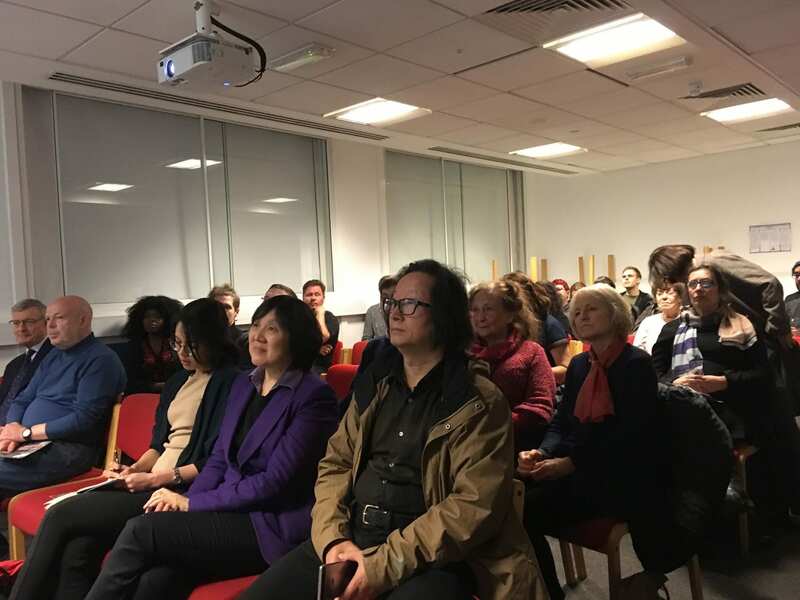 The memoirs were chosen for the broad range of perspectives they represent, with particular attention being paid to the gendered experiences of imprisonment. The texts are approached through the lenses of literary criticism, as the article analyses common tropes, motifs, characters, and techniques of narration – elements that make Gulag memoirs a ‘genre’ in its own right. A close reading of the text will uncover not only the gruesome realities of Communist persecution, imprisonment, and torture, but also the prevailing mentalities of that era. The literary components of the texts provide clues that help in decoding the authors’ self and their understanding of history. 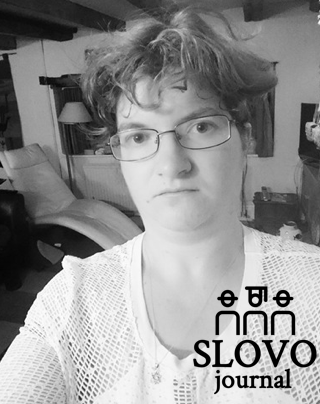 The article ‘Halfway between Memory and History: Romanian Gulag Memoirs as a Genre’ by Ruxandra Petrinca (McGill University, Montreal) was published in SLOVO Journal, VOL 29.1, and can be read in full here. Nadège Mariotti, author of ‘A.G. Stakhanov in Gaumont Pathé’s Soviet Film Archives: Between Physical Performance and Instrumentalisation’. Nadège Mariotti is a Professor and instructor in History at the University of Lorraine since 2002. She trains future teachers within the framework of a professional Master’s Degree in Education. For several years Nadège has been developing training sessions about the didactic approach to images. As a PhD student at the Paris Sorbonne New University since 2012, her research focuses on the representations of the world of mining and steelwork, through to the technical gesture in animated images from the end of the 19th century to the end of the Thirty Glorious Years (1975). Nadège’s article examines the evolution of the memory of Stakhanov’s record mining achievement, moving from a retrospective point of view to a celebration, and finally to commemoration. The depiction of the miner A.G. Stakhanov in newsreels from the Gaumont Pathé archives highlights the representations of this physical performance used in the specific economic and political environment of the USSR during the interwar period. The Soviet worker is idealised as a national hero. At that time, the Soviet government was looking for the “New Man” and “new technical standards” and Stakhanov lost his individuality, becoming “only an official agent of the state”. The article ‘A.G. Stakhanov in Gaumont Pathé’s Soviet Film Archives: Between Physical Performance and Instrumentalisation’ by Nadège Mariotti (University of Lorraine, University of Sorbonne Nouvelle) was published in SLOVO Journal, VOL 29.2, and can be read in full here. Iglika Grebenarova, author of the film review for ‘Revolution: New Art for a New World’. Iglika is a student at the New York University, majoring in International Relations and minoring in Cinema Studies, set to graduate in May of 2018. She is passionate about European affairs, and the intersection between cinema and politics, as well as art’s ability to both reflect and form ideological discourse. As well as being an intern at the Ayn Rand Institute in June 2015, Iglika has interned for the Bulgarian Ministry of Foreign Affairs and the Center for the Study of Democracy. Other parts of Iglika Grebenarova’s research has previously focused on 60’s European cinema, Romanian New Wave, and Film Festival Politics. In her film review for SLOVO Journal, Iglika focuses on Director Margy Kinmonth’s latest film as the pinnacle of her exploration of the secrets of Russian art spanning over more than three decades. Revolution: New Art for a New World is a spectacular documentary made to commemorate the Bolshevik Revolution of 1917 and to demonstrate the crucial importance of art for the creation of the new regime. With the remarkable breadth and depth of its scope, the film creates an exhilarating depiction of one of modern history’s most tumultuous periods and immerses its viewers into the inseparable mixture of art and politics that shaped humanity’s future for decades to come. The film review for ‘Revolution: New Art for a New World‘ by Iglika Grebenarova (New York University, NYC) was published in SLOVO Journal, VOL 29.1, and can be read in full here. Ksenia Pavlenko, author of ‘A Pause in Peripheral Perspectives: Sergei Diaghilev’s 1898 Exhibition of Russian and Finnish Art’. Ksenia is the Website and Social Media Manager and a member of the Advisory Board for the Cambridge Courtauld Russian Art Centre. She is an MPhil candidate in History of Art at the University of Cambridge, supervised by Dr. Rosalind Polly Blakesley, researching the visual culture of Finland as a Grand Duchy of the Russian Empire. Her studies extend from the establishment of Helsinki as a capital city in the early nineteenth century, to Finnish participation in early twentieth century artistic developments on an international scale. 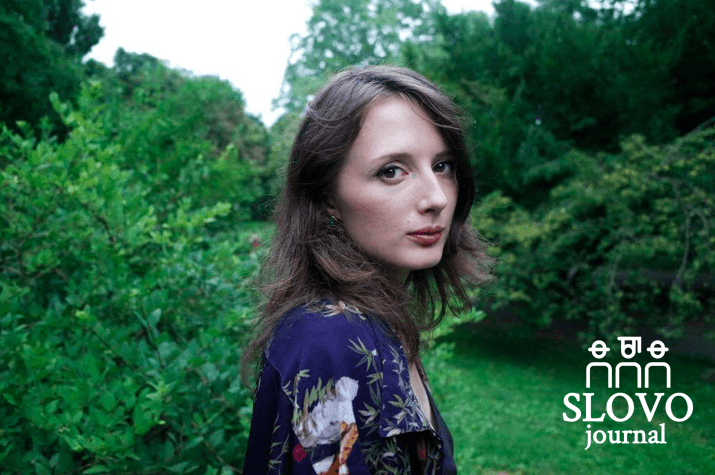 Ksenia completed her BA in History of Art and English Literature at the City University of New York in 2013, after which she worked for institutions such at the International Center of Photography and American Federation of Arts. 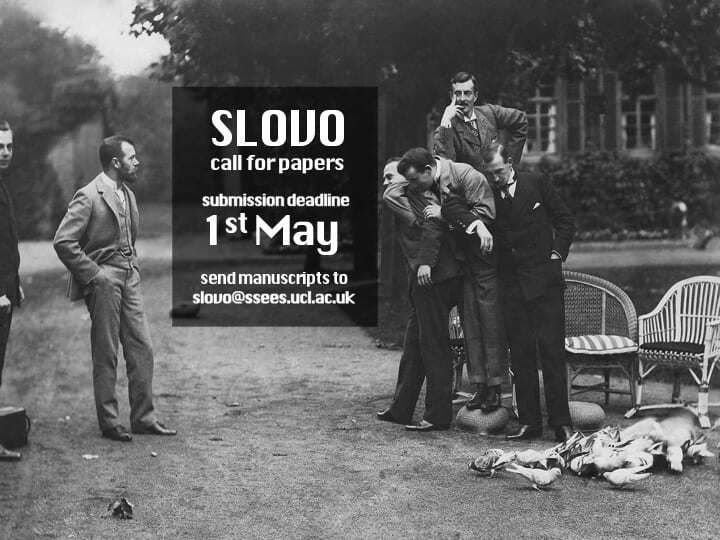 Ksenia’s SLOVO Journal article examines three years of monumental change in Finnish-Russian cultural relations at the fin de siècle. The territory of Finland had enjoyed autonomy and economic development for the greater part of the nineteenth century as a Grand Duchy of the Russian Empire. Sergei Diaghilev’s 1898 Exhibition of Russian and Finnish Art exemplifies how this positive dynamic began to manifest itself in transcultural exchange. Diaghilev sought for Russia’s creative circles to follow the Finnish example of engaging with Western European artistic developments while refining a distinct national vision. Such a dynamic would have appeased imperial interests in promoting its Russian heritage while allowing Finns to continue to express their distinct culture. The Russification Programme, initiated in 1899, changed an amicable relationship between the Russian Empire and its Finnish territory to one of oppression. The rich cultural heritage Finnish intellectuals had developed throughout the nineteenth century was quickly mobilised to resist imperial oppression, exemplified in the Finnish Pavilion at the 1900 Paris Exposition Universelle. The collaborative potential of Diaghilev’s 1898 exhibition was replaced by a resounding call for Finnish autonomy at the 1900 Finish Pavilion. The period of 1898-1900 demonstrates how quickly Finland’s embrace of nineteenth-century nationalism transformed from a cultural blossoming to a politicised quest for autonomy. The article ‘A Pause in Peripheral Perspectives: Sergei Diaghilev’s 1898 Exhibition of Russian and Finnish Art’ by Ksenia Pavlenko (University of Cambridge) was published in SLOVO Journal, VOL 29.1, and can be read in full here. With the persistent misrepresentation of Romanians and Bulgarians in the British press, Rebecca McKeown asks: is it time for an end to unfettered free speech? Britain’s press freedom must end. Even as I type the sentence I flinch and want to hammer repentantly on the backspace key. The words read like democracy gone wrong: an attack on a fundamental human right. They bring to mind the heated debates of the post-Charlie Hebdo moral melee. They seem to typify everything that a truly liberal society might hope to denounce. And yet … I stand by them. 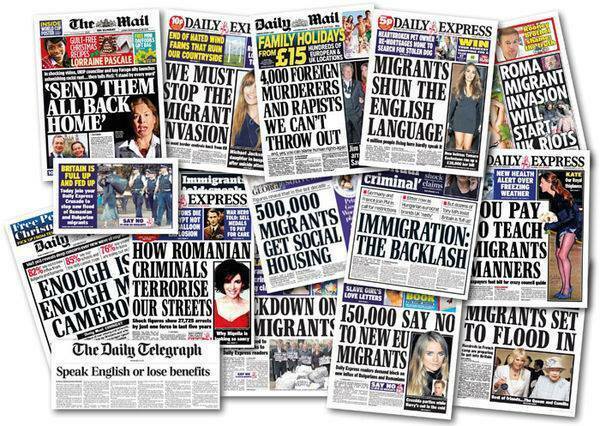 The callous portrayal of East European immigrants by the red-top right and the racist generalisations and lies peddled to petulant and ill-informed swathes of the British population have become intolerable. Who gave the British media a free pass to provoke societal division and institutional racism? Those liberal Britons who have grown up accustomed to the tabloid circus joke at its expense and shake their weary heads at every new, bigoted headline. It seems to me, a newcomer to these green and pleasant lands, that Britain’s populist press is all too often brushed off like an embarrassing drunk uncle—a little bit puckish, a little bit provocative and opinionated, but all in all, harmless. If you had been a fly on the wall in conversations I have had with UK-based Romanians of late, you would be as certain as I am that such coverage is anything but harmless. Any medium which allows the publication of material that, for example, calls Romanian workers “a huge army of parasites” is in no way innocuous. 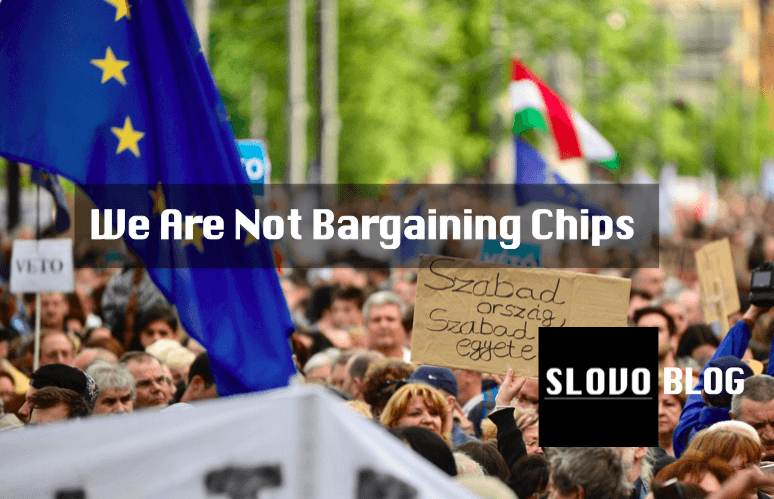 It has now been over a year since labour market restrictions were lifted in the UK, allowing Romanians and Bulgarians to work here legally. Certainly, some came. Many went home again too. This is the nature of today’s mobile workforce, and the reality of EU membership. Many Brits count themselves lucky that they can hop across to the continent to live or work in Paris, Munich, Seville, or Budapest. Romanians now have that same right, and, bravo them, many are exercising it. The great majority of those Romanians who come to the UK prove themselves to be hard-working, honest, contributing members of society, as immigrant communities so often are. But still, still, in this enlightened, largely-liberal, globalised society—still there are a great many Britons who believe the generalisations printed on a daily basis about a people who are no less intelligent, creative, and proud than they are. And these were only the first three headlines I encountered in a search of the past few days alone. 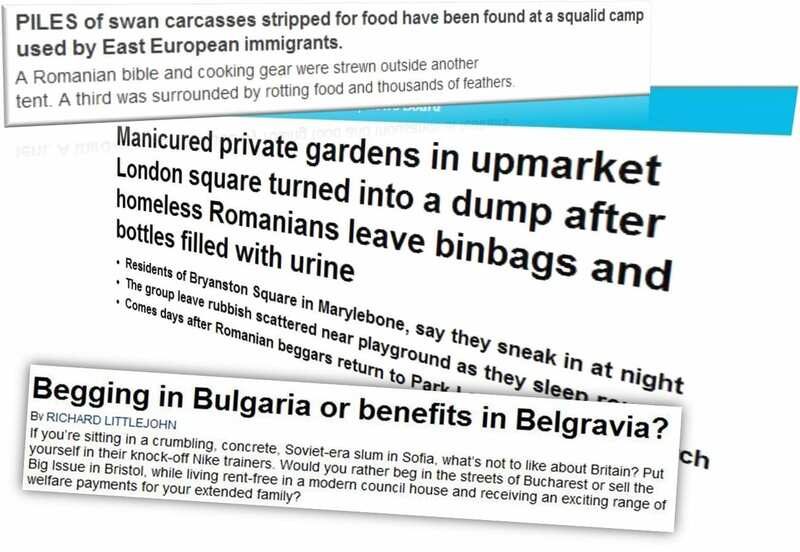 Eighteen months ago, I investigated the media’s depiction of Romanian workers somewhat more extensively. In a study of four tabloids and 315 articles, I categorised each piece by the type of language used and whether a positive or negative depiction of Romanian and Bulgarian migrant workers was given. And my personal favourite, demonstrating the innate talent of tabloid journalists at disguising ingrained racism in crude quips: “BULGAR OFF”. The inanity of tabloid immigration puns aside, the issue of racism towards Romanians (or insert the Central/East European nationality of your choice here) is ongoing and unrelenting. Very often when I meet a Romanian in London, I am shocked by their stories of discrimination. Frequently they are apologetic about their ethnicity. A personal experience of this just two weeks ago almost brought me to tears. The look of trepidation and distress that flashed across her face, just for that split second that her eyes met my own, was one of the most heartbreaking experiences of my time in this city. “I’m from Romania”, she replied, every syllable apologetic, bracing herself for what she seemed sure would follow. How wonderful would it be if such a simple gesture was not so rare as to elicit an overjoyed response? The young woman beamed, sat opposite me for a minute, and poured out her troubles. “I am going to work hard for a few years. Then, when I have enough money, I’m going to walk up to the admissions desk at the university with bundles of cash and pay in advance for my degree, right there on the spot”. These Romanians, the Romanians that I know and often meet, in no way resemble the violent and dishonest characters that the British press so often choose to splash across their pages and that certain sections of British society choose to see as representative of an entire nationality. Luckily, I am not the only person who thinks that depictions of Romanians in the UK have spiralled out of control. A group of good people, Brits and Romanians alike, are seeking to remedy the misrepresentations of Romanians in this country. Their documentary is titled 13 Shades of Romanian—but let us not hold this against them. They are producing thirteen stories of thirteen Romanians living in the UK, with the aim of showing a side of Romanians few Brits are exposed to. The project has just achieved its funding goal through a crowdsourced Indiegogo campaign, though they are still welcoming support. How sad that such a campaign is necessary, and that it is very much an ambulance-at-the-bottom-of-the-cliff remedy. Can Britain’s media not be held more accountable for damning the reputations of every Eastern European who walks through the arrivals gate at Heathrow? As far as I am concerned, the rhetoric that continues to abound about Romanians and other East European expats is a human rights abuse of the first order—more so, I believe, than restricting the unfettered, unfiltered, and unacceptable racism so often printed and consumed in this country. On August 4 last year, Vladimir Putin responded to the latest round of sanctions levied against his regime by imposing a ban on the import of food products from the EU, the US, and their supporters. 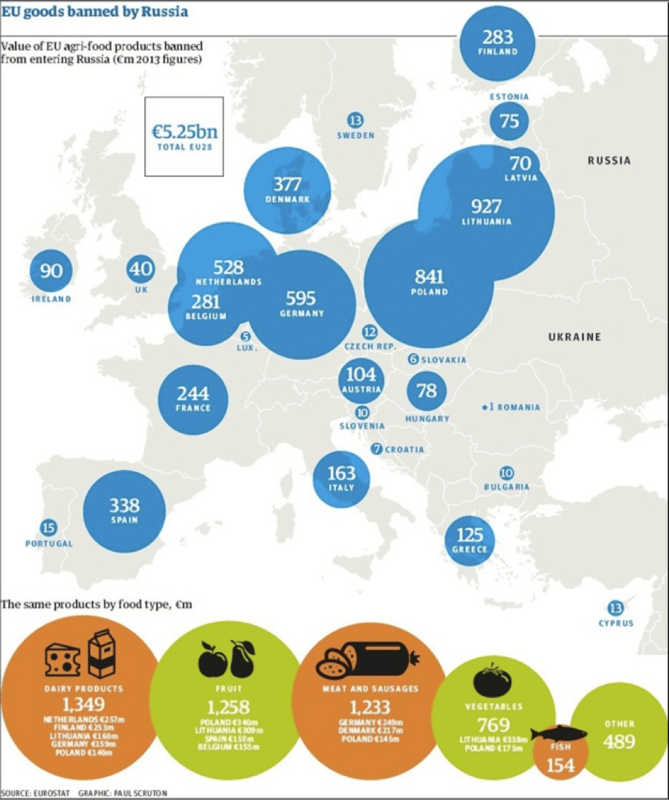 The disruption of commerce was worth approximately $12 billion to the Russian economy, with secondary effects in the targeted countries, particularly the EU, causing unemployment within the agricultural sector, a slump in the price of the banned foods in domestic markets, and great losses for producers. At the same time, Russia saw a dramatic rise in food prices, empty shelves in shops, restaurants obliged to change their menus and a revival of the old-fashioned black market, all as a consequence of the ban. Western media has been harshly critical of Putin’s policy, calling it a desperate and useless retaliation done simply for the hell of it. The ban, they argue, is a boomerang that will come back to hit Russia hardest. There are two very good reasons why this might be true. 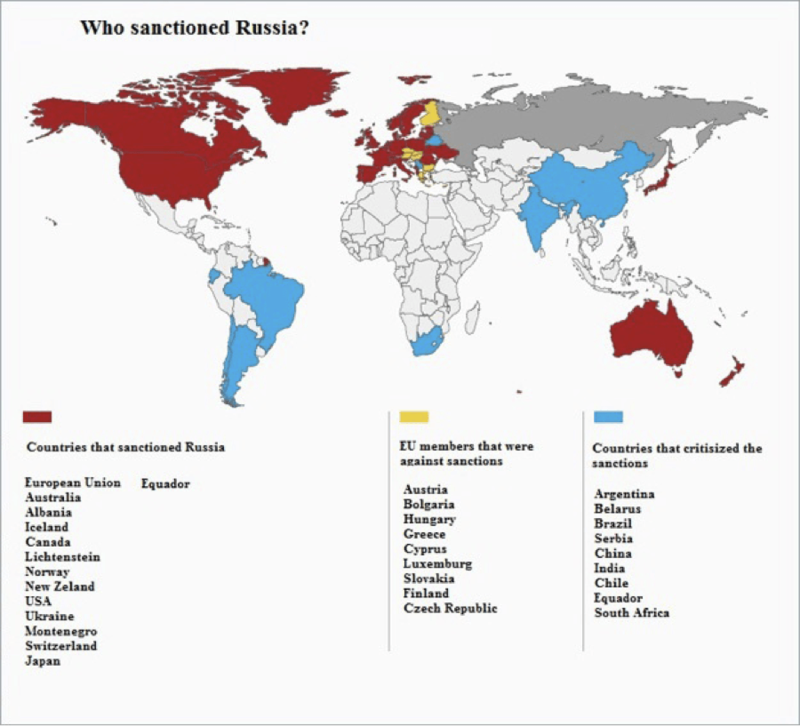 First, sanctions are a political tool used to force a rival to alter its behavior. In this case, although affected parties in the West are pressing their governments to lift sanctions, damage to the wider European economies has been limited, and the voices of agricultural producers are not strong enough to force a change in policy. Second, restrictions on trade are usually harmful for any economy, and Russia is no exception. Although it could eventually be beneficial for some sectors, scarcity of products and rising inflation have predictable and undesirable effects on a large segment of the population. Therefore, the ban on food appears to be ineffective in the first instance and counterproductive in the second one. Why, then, has Putin opted for such an irrational policy? Didn’t he have any alternatives to imposing sanctions – and why food, rather than something else? Before asserting that the ban has been a total failure, however, we must analyze the situation from the Russian president’s perspective. Two main political calculations pushed Putin to adopt sanctions. First, to be considered a superpower a country must act like a superpower, and that is certainly the status that Putin seeks for Russia. When the sanctions hit, Russia had to show its muscles and hit back. This is even more the case considering sanctions were imposed in response to Russia’s undeniable involvement in Crimea – which Putin has always denied. The second reason is purely domestic and concerns the fact that many Russians, thanks to state-led propaganda, perceive the escalation of the Ukraine conflict as the result of Western interference in support of a fascist, anti-Russian coup. 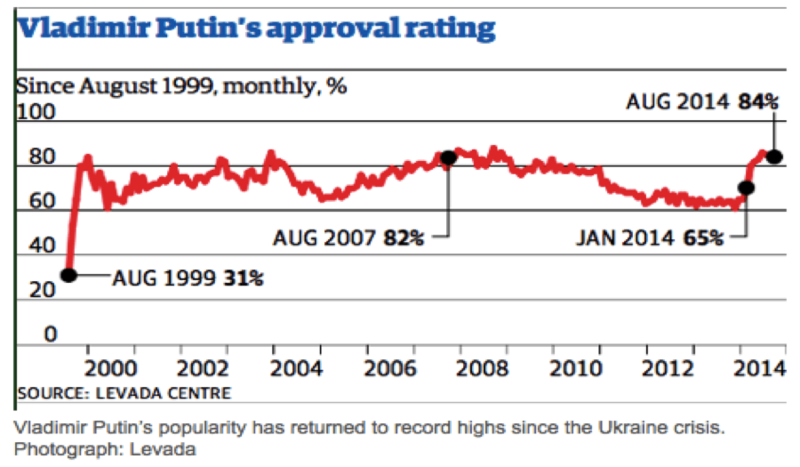 Putin’s approval rating rocketed up at the beginning of the turmoil in Crimea, and he has had to keep playing the part of the strongman to maintain credibility at home. The decision of whether to adopt a particular programme of sanctions is generally made with an eye on the damage, both economic and political, and consequent backlash that they are likely to provoke. In other words, political leaders choose sanctions regimes that maximize damage to its targets and minimize repercussions for their own state or power base. If we accept that the most important goal of every leader is to remain in power, it follows that, in democratic countries, reducing the impact of sanctions on one’s own economy is essential. Indeed, popular support is necessary to be re-elected, and damaging consumers and businesses for political reasons would likely lead to electoral defeat. This logic has been called the ‘enforcement dilemma’ and expresses the trade-off for the political elite of imposing sanctions. However, such logic works in a different way in non-democratic countries. Here, to remain in power an authoritarian leader must guarantee a constant flow of money to his inner circle, upon whom he relies for support. In this case, the trade-off is dictated by the need to avoid losses for the elites, disregarding the fallout for the population at large, unless widespread unrest or civil disobedience makes them impossible to ignore. Such considerations partially explain why Western sanctions have targeted individuals and sectors related to Russian’s elites while Russia has targeted ground-level economic activities in the West. As such, the repercussions on Western governments of their own sanctions have been manageable, since only a very small fraction of their economies, mostly oil and gas multinationals, have been prevented from trading with Russia. Likewise, Russia’s sanctions haven’t damaged crucial sectors related to the elites’ businesses, nor have they triggered protests or revolts. This may indicate that Putin opted for the solution that caused the least suffering from his own perspective, implying that he acted with absolute (authoritarian) pragmatism. Food is a replaceable good. Russia imports most of it from Western countries. 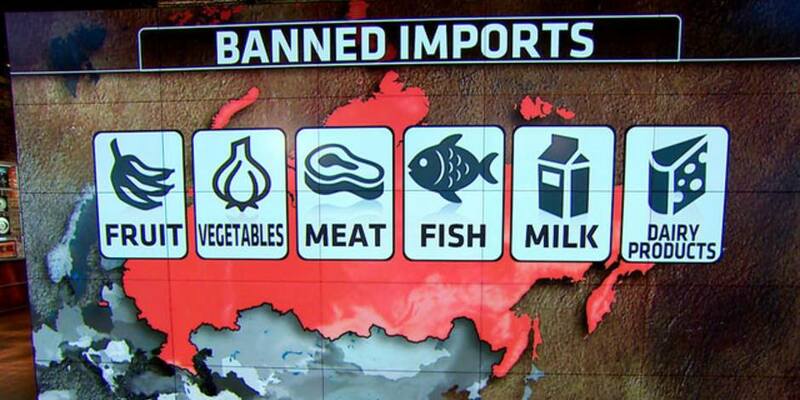 Food is not linked to Putin’s friends’ interests. By bearing in mind these three considerations and by understanding the starting conditions of Russian’s economy, we can put ourselves in Putin’s shoes and understand why he chose to target food imports. The fall in value of the ruble has led to more expensive imports for Russian firms and to a consequent worsening of the balance of payments. Cutting $12 billion of imports of a replaceable good could help curb Russian dependence on Western countries and slightly alleviate the ruble’s decline. This is not properly orthodox from an economic point of view, for the obvious reasons of rising inflation and widespread shortages, but in Putin’s logic, that $12 billion could also be reinvested and spent elsewhere, which is his declared goal. Where? The first candidate is obviously the internal market, which can provide goods on the cheap. Second, and more important, are the other BRICS (Brazil, India, China and South Africa) and the countries of Central Asia, with whom a great number of new supply contracts have been signed in recent months. This has contributed to a diversification of Russia’s international trade patterns, which will have further consequences in the long run. Yet, both the slow pace of transitioning to new suppliers and the inadequacy of local industry in meeting internal demand, as evidenced by the current shortages, demonstrates that not all that money has been spent. Part has been invested in industry, while some may simply have been diverted to other goods. Looking at the ban from a broader perspective, consumers, obviously, have been the main losers. Not only do they have access to a much lower quality of food, but they also face the daily uncertainty of sudden price increases. More dramatically, it could also be argued that Putin, conscious of his approval rating and of ordinary Russians’ paranoia about inflation, has played on their fears to trigger a ‘run on food’, letting consumption accelerate in a problematic macroeconomic environment. This is plainly unsustainable in the long run, but a crucial point, which many critics seem to have forgotten, is that the food ban will – or at least, should – end in August this year. Food prices may gradually return to normal once trade patterns with Western economies are reestablished. Yet, nothing will be as it was before. Russia’s internal market will have developed, maybe not enough to compete with the EU and the US, but certainly considerably. Many new supply relationships will have been established with countries in the rest of the world. Restaurants may not necessarily revert to their pre-ban menus: people’s tastes are impossible to predict, but who is to say that Russian consumers might not have acquired a taste for cheaper foreign cuisine (Chinese?). All these factors might keep the demand for Western products low. From a broader geopolitical perspective, Russia’s dependency on Western countries will be further reduced, which is line with Putin’s goals. Moreover, the events in Crimea have accelerated a process that has seen emerging powers try to carve out a bigger role on the international stage by banding together, both in political and economic terms. The disruption of the food trade undoubtedly represents another front in this battle. August is coming. Conclusions may then be drawn. We will see whether one year of the food ban will have been enough to signal a further step away from Western dependence. More importantly, we will be able to determine whether the suffering of Russia’s population in the short term will result in long-term gains for President Putin. If not, we will be free to criticize his decision to ban Parmesan cheese and other delicacies from Russians’ tables and to reflect on the consequences of a failed policy of economic brinkmanship. Enrico Cattabiani is on the first year of the IMESS double-degree Masters programme at SSEES, studying Economics and International Relations. From next September, he will study at the Higher School of Economics in Moscow, where he is planning to write a thesis addressing some of the questions left unanswered in this article.